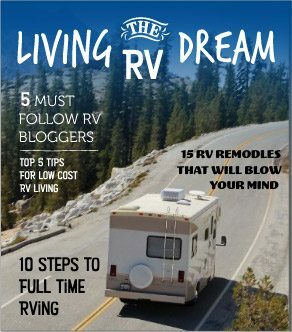 The 10 Best RV Trips To Take In North Carolina - Must See! The east coast of the United States has its own particular allure. Fishing towns and time-worn landscapes beckon travelers of all kinds, whether seeking cultural experiences or outdoor adventures. Nowhere is this harmony between man and nature more prevalent than in North Carolina. Here, some of the nation’s most diverse natural beauty melds with the history of one of America’s original thirteen colonies. North Carolina has a storied past. Prehistoric tribes left evidence of their existence in the form of peculiar mounds in the earth. Stories of powerful Native American tribes like the Cherokee are abundant. Many Cherokee still reside in parts of the state today. The lost colony of Roanoke is yet another tale out of North Carolina’s past – a mystery that may never be truly solved. From indigenous cultures to colonial people and the Civil War, enthralling stories of struggle and strife make up much of the state’s history. If tranquility is more your cup of tea, don’t worry! There’s a peaceful side to North Carolina, too. The state has an enormous range of outdoor attractions. From spending a day at one of the state’s renowned beaches to hiking in the Blue Ridge Mountains, there’s plenty of opportunities to kick back and appreciate North Carolina’s natural beauty. What’s more, with 34 state parks and 14 national parks, plus a wealth of RV parks in North Carolina, you’ll never run out of places to camp! 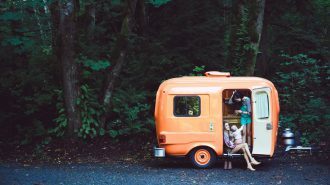 If you’re planning your next RV trip in the Tar Heel State, don’t forget to add one (or all) of these destinations to your list. Linville Gorge is pretty deep. In fact, it’s so deep that it’s nicknamed the “Grand Canyon of the East.” Its dizzying heights are surrounded by 12,000 acres of woodlands that have been protected since the Wilderness Act of 1964. 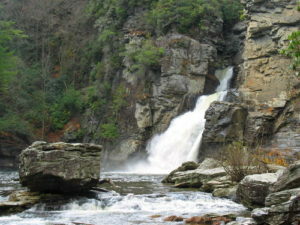 Lineville Falls’ scenic beauty draws thousands of outdoor adventurers and photographers each year. One look at the breathtaking, 90-foot waterfall and you’ll understand why it’s one of the most photographed waterfalls in the state. It’s a wonderful spot for a day trip as there are roughly 39 miles of hiking trails for a variety of skill sets. Steep, rugged trails offer a challenge for the most seasoned of hikers and climbers, while meandering forest paths offer a more relaxed experience for beginners. Along the way, you’ll see an array of wildlife and rare plants. The Linville Falls Campground is a privately-owned campground and RV park that’s only a few minutes away from the Falls and other attractions in the park. The campground is just off the Blue Ridge Parkway and offers shaded spots, full hookups, a bath house, a camp store, and a playground. Rates vary; visit site for details. The Indian Mounds of the Pee Dee River Valley date back to the 11th century. Archeologists have studied the purpose of the mounds for more than 50 years. The true nature of the indigenous people that built them continues to elude researchers today. During excavation, evidence of 61 human burials was excavated, including skeletal remains and burial objects. The surrounding village also contained a variety of artifacts, including pottery shards and arrowheads. Today, the majority of the collection is housed at the University of North Carolina at Chapel Hill. 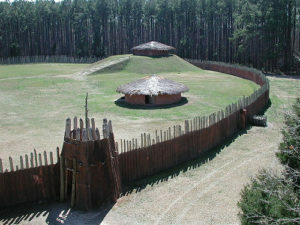 Both the ceremonial center (which includes the mound and several burial sites) and the village have been reconstructed. The visitors center has a handful of exhibits and videos, and self-guided tours offer a look back into the mysterious past of the Pee Dee Valley people. Norwood Campground is convenient to Town Creek and other area attractions like Lake Tillery, a drive-in movie theater, a golf club, and a few national parks and forests. They offer full hookups, free Wi-Fi and cable, a swimming pool and pond, a store, and much more. Rates start at $32 per night for water and electric hookups. Experience life in the lap of luxury at the Vanderbilt Mansion, the largest private home in the nation. This jaw-dropping Chateau mansion is situated on 8,000 acres of land. The Vanderbilt family constructed some of the most opulent mansions in the United States, famous for their grandeur and for being some of the few remaining examples of the Gilded Age. 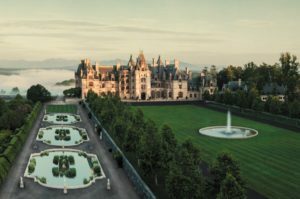 Other family members built similar homes in Newport, Rhode Island and Hyde Park, New York, though the Biltmore estate in North Carolina is the largest of the three. The 19th-century castle sits high in the Blue Ridge Mountains, offering picturesque views from almost all of its 250 rooms. Spend a few hours walking a self-guided audio tour through the mansion (yes, it’s that big), or stroll through the acres of formal and informal gardens. The manicured gardens offer countless variety of plants and flowers, while 2.5 miles of walking paths take you through dense forest and windswept meadows. Price: Prices vary; visit site for details and to buy tickets online. Biltmore Estate has a beautiful inn where guests can stay overnight, but unfortunately, there are no RV options on the grounds. The closest RV park is Wilson’s Riverfront RV park, which is about 15 minutes up the road. The park sits on the shores of the French Broad River and offers full hookups with free WiFi, paid cable, and riverfront sites. Rates start at $41 per night for a hillside spot. The original Roanoke Island Colony may be lost to history’s mysteries, but these days, the island is full of people. It’s not the same untamed island it used to be. Today, Roanoke Island is home to world-class attractions like the Elizabethan Gardens, the North Carolina Aquarium, and the Roanoke Marshes Lighthouse. Music Festivals fill the town with vibrant energy throughout the year, while historic Manteo offers a quiet journey back in time where restored homes, shops, and B&B’s line the streets. Make sure you visit in summer when you can see The Lost Colony, an outdoor show that recreates the story of one of the first attempts at American colonization. The outdoor waterside theatre is the perfect venue to hang out and learn the island’s history on a balmy summer night. Roanoke Island Festival Park lets visitors explore history for themselves, from the Settlement Site and the American Indian Town, to the Roanoke Adventure Museum and Store. 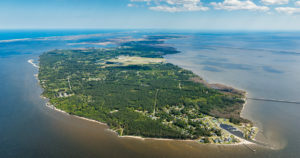 The Refuge on Roanoke Island is located in the southern town of Wanchese. It offers just 14 rental sites, so make sure you book your reservation early. The sites are all waterfront and feature full hookups, cable and internet, and access to the pool, bathhouses, and other amenities. Rates start at $62 per night during peak season. There’s no way that Great Smoky Mountains National Park couldn’t make this list. It’s the country’s most visited park. It’s abundant with wildlife, to the tune of an estimated 100,000 different species. And, it’s home to several important historic structures and landscapes. Waterfalls and hiking trails are dispersed throughout the park, offering lots of choices for outdoor fun. The North Carolina side of the Park has a few notable stops. The Minus Mill and Mountain Farm Museum is a small “village” of historic log buildings that depict what life was like 100 years ago. The Cataloochee Valley also houses a collection of 19th-century buildings nestled deep in the mountain forest. The Valley is known for its wildlife, specifically its recently reintroduced herds of elk. There are a handful of campgrounds on North Carolina’s side of the park. The Great Smokies KOA is a top-rated park that sits on the Raven Fork River at the gateway to the park. 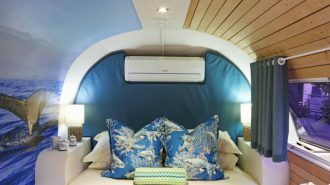 Amenities include full hookups, Wi-Fi and cable, a pool, a snack bar, and more. 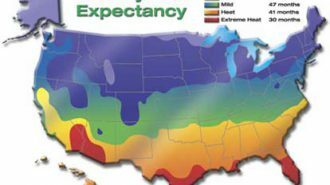 Rates vary; see site for details. This small woodland wonder is an outdoor exhibit at the Ann and Jim Goodnight Museum Park in Raleigh. 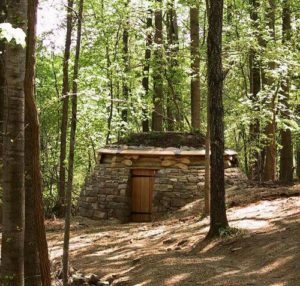 It may look like a modest stone and moss hut, but once you step inside the Cloud Chamber, you’ll feel like you’ve been transported to another world. 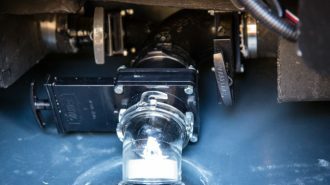 It uses medieval technology to create a camera obscura effect. In other words, once inside, you’ll be enveloped in a mirror image of the sky and trees. It’s truly beautiful – and mind-boggling. There are dozens of other exhibits in the Park as well, so plan on spending at least a few hours. 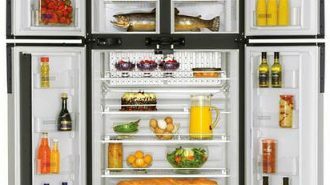 Price: Varies by date and exhibit. Visit site for details. Finding a place to camp in a big city is always tricky. The North Carolina State Fairgrounds is likely your best bet if you want to be as close to the city as possible. They offer full hookups, free Wi-Fi, and 24-hour security. Sites are first-come, first-served and start at $30 per night. Or, you can always check out this list of RV parking in North Carolina to see if there are other campgrounds nearby. Franklin, AKA “The Gem Capital of the World” offers much more than just precious stones. It’s a quaint town set against the backdrop of Western North Carolina’s Appalachian Mountains. There are countless streams and waterfalls in the area, along with miles of unwavering natural beauty. Downtown is full of boutique shops, and festivals and events take place regularly. 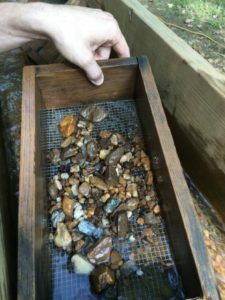 You can find family fun for everyone at the Old Cardinal Gem Mine, a working mine that’s been operating for more than 40 years. Kids can dig on their own or choose a pre-filled bucket to sift through. Rubies, sapphires, garnet, and moonstone are just a few of the gems you may find while digging around in the dirt. Price: Not listed; contact for info. 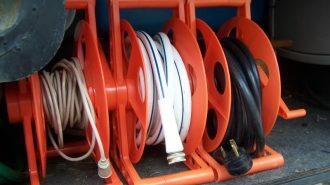 Franklin is a wonderful hub from which to explore Western North Carolina, especially if you just got a new rig from the best RV dealers in North Carolina and want to take it out on its maiden voyage. 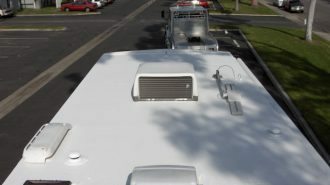 If you’re looking for convenience, Franklin’s Downtown RV Park has it by the truckload – or should we say trailer load? It’s a tiny RV park within walking distance of everything Franklin has to offer. Amenities include full hookups, Wi-Fi, a community fire pit, and more. Rates start at $28 per day. Have you ever wanted to ride down a waterfall without, you know, the dangerous rapids and the perilous heights? Well, now you can! Sliding Rock in North Carolina’s Pisgah National Forest is a 60-foot waterfall that stretches out over a gradual incline. Basically, it’s a natural waterslide that lands in a large, 8-foot pool. The waterfall is surrounded by lush, shady forest, making it the perfect place to cool off with your kids during the dead heat of a North Carolina summer. There are several campgrounds throughout Pisgah National Forest. 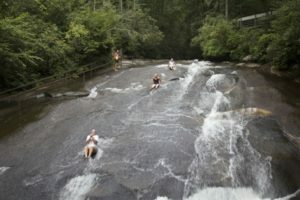 The closest to Sliding Rock is the Davidson River Campground. It sits on the banks of the Davidson River and is convenient to the town of Brevard. The campground offers year-round camping, full hookup sites, Wi-Fi, a bath house, and more. Rates are $32 per day for a site with full hookups. Salem, North Carolina has a unique history. Founded in 1766, Salem was once home to a Protestant religious group known as the Moravians. It’s the oldest Protestant denomination in the world, dating back to 15th century Bohemia (what is now the Czech Republic). Moravian missionaries established several settlements in the eastern U.S., with Salem serving as a central hub for the area. Restored original structures still stand to this day. 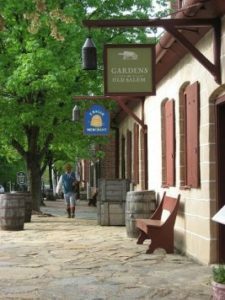 Visitors can explore the buildings, museums, and gardens to get a glimpse at what life was like in this 18th-century town. Retail shops offer everything from traditional North Carolina foods and Moravian objects to home décor and books. 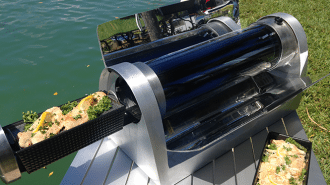 There are dozens of events throughout the year as well, which include activities and demonstrations the whole family can enjoy. Price: $27 for a full admission, two-day adult ticket; $13 for a kid’s ticket. 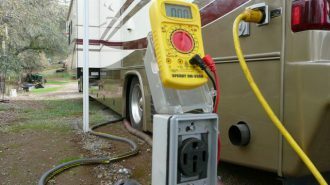 Lake Myers RV and Camping Resort is a top-rated RV park near Old Salem Village. 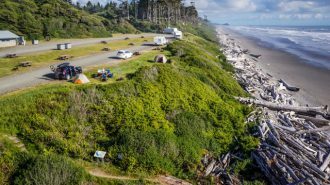 Spread out over 74 acres, the resort offers plenty of spots for even the largest of RVs. Amenities include a swimming pool, an on-site restaurant, outdoor sports courts, a game room, a camp store, and more. Rates range from $35 to $65 per night. Though there are many worthy places to stop along the Blue Ridge Parkway, the Parkway itself is a destination of sorts. 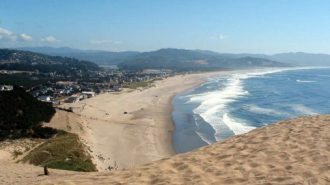 It’s consistently named as the most beautiful drive in the country, and perhaps may be one of the most beautiful in the world. Unbroken views of the Appalachians surround you on all sides as a gentle mist lifts off the rolling peaks. It’ll seem as if you’re at the top of the world, towering over a sea of trees that seems to go on infinitely into the horizon. Luckily, low speed limits keep the drive relaxed and prevent you from missing some of the most breathtaking vistas you’ll ever see. You’ll have no shortage of places to stay; there are tons of campgrounds along the Parkway’s 469-mile stretch of road, and eight designated campgrounds in the park itself. 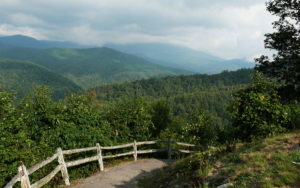 Mount Pisgah Campground has the highest elevation and is one of the most secluded (i.e., peaceful) campgrounds on the parkway. Amenities include fire rings, laundry, a bathhouse, and a camp store. Rates are $20 per night. Please note: there are no hookups at any of the Parkway’s campgrounds. Where Will Your North Carolina Adventure Take You? North Carolina is a great place to take a road trip, no matter the time of year. 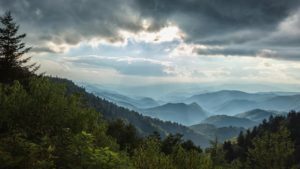 Each season brings a new reason to visit, especially if you plan on driving the beautiful Blue Ridge Parkway in your North Carolina RV rental. From the mountains to the ocean, North Carolina is truly diverse in both its geology and its culture. So, whether you’re a beachgoer who wants to hang out in the city, a rugged outdoorsman, a hobby historian, or just about anything else – you’ll surely find something you love about the Tar Heel. State.